An aimless Englishman finds he has a small inheritance on a Greek island. 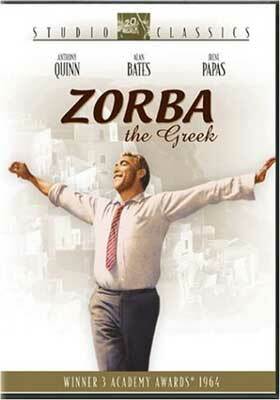 His joyless existence is disturbed when he meets Zorba, a middle-aged Greek with a real lust for life. As he discovers the earthy pleasures of Greece, the Englishman finds his view of life changing. An unforgettable story, with beautiful cinematography. Classic films are shown on the first Wednesday of every month.